This week I celebrated my birthday. I love cake, but since my son's birthday is just over a week away and I recently made Pumpkin Cream Cheese Bundt Cake, I thought maybe I should bake something besides a cake this week. So I made Apple Cinnamon Streusel Muffins instead of a cake. And, then my husband brought home an ice cream cake--which isn't really cake, is it? These muffins were excellent. They were moist and yummy—a solid "10" according to my son. Speaking of muffins, do you use paper liners when you make muffins? I always used to, but lately I have been spraying the muffin tin instead of using liners. I really hate it when half my muffin stays in the liner. I didn’t use liners when I made these muffins, however I did set the muffins in liners for the picture. Muffins made with fresh apples and topped with streusel and vanilla glaze. 1. Preheat oven to 375°F and prepare muffin tins by spraying with cooking spray or lining with paper liners.2. In a large bowl combine flour, sugar, baking powder, baking soda, salt, cinnamon, and nutmeg and make a well in the center.3. In another bowl combine eggs, butter, and vanilla then pour into the well of dry ingredients.4. Stir until just combined; fold in apples. (Batter will be thick)5. Fill muffin cups 3/4 full.6. Make streusel topping by combining the brown sugar, flour, and cinnamon; cut in butter to make a crumbly mixture.7. Sprinkle streusel topping over the batter and bake at 375° for 15-20 minutes or until toothpick inserted in the center comes out clean.8. Remove from oven and cool for 5 minutes before removing muffins from the pan to a wire rack.9. After muffins have cooled, combine glaze ingredients and drizzle over the muffins. Oh my... the muffins look amazing! Love the frosting. So pretty. Jill those look fantastic (sort of like mini cakes). Hope you have a very Happy Birthday!!! These look amazing! I would have this for cake...and then I would have a big slice of the ice cream cake as well. The streusel topping makes those muffins exetrmely delicious! I still prefer the muffin liners. Hope you had a fabulous birthday! But your muffins look like a good enough reason to celebrate anytime. Sur La Table has some really fun and colorful paper liners that I like to use. Happy birthday! You sure made a tasty choice to celebrate with. These do look very moist and the streusel topping with the glaze does tempt. Yum! Beautiful pictures of some incredible looking muffins. A perfect 10 from your Son is a great compliment. They look wonderful, can imagine they smell wonderful too. Love the placemats, another great pic!! Happy Birthday! These muffins look fantastic - great streusel topping. Great looking muffins, and I love the streusel topping. I'm with you about the liners. I just made muffins earlier in the week, and half of the muffin stuck to the liner. Next time I spray! Happy birthday! Muffins look so good. Happy Birthday, Jill! These muffins look so delicious! 2. I LOVE the new design! 3. These look amazing! I love cinnamon and these muffins look so wonderful. Apples are my life right now! First of all, Happy Birthday...!!! You know what, I think some products were created to be together, so nothing better that apple + cinnamon, the perfect match. Happy Birthday! The muffins look amazing! It really depends on the muffins and my mood. I like the muffin liners because they are so convenient and portable. ....but you have a good point! Happy birthday! Hope you had a wonderful day! These muffins are beauties. I love anything apple and am definitely trying these. I always use paper liners but try to keep some inexpensive ones on hand for non-blogging purposes. Michael's had some cute ones in the dollar bins! Happy Birthday! I usually use liners for convenience, but I totally agree with you about leaving half the muffin on the paper - such a bummer. Especially with muffins as tasty as these. Your muffins look fabulous! Jill-Your apple, cinnamon muffins look so pretty, yummy, and festive with the beautiful drizzle! Love the new Dessert Gallery on your blog. I have this rule: paper liners for cupcakes, and NO liners for muffins...they never stick to the pan! 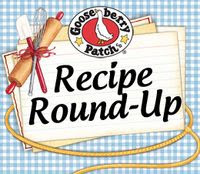 Bookmarked your recipe, to print out...thanks for sharing! Wanted you to know that I made these today and they are delicious. Mmmmm...I think I'd rather have these than cake! Belated happy birthday to you!! Wonderful recipe and photo. I want to try them! Happy birthday Jill , the muffins look beautiful . Hope you had a great day :) . Happy Birthday! 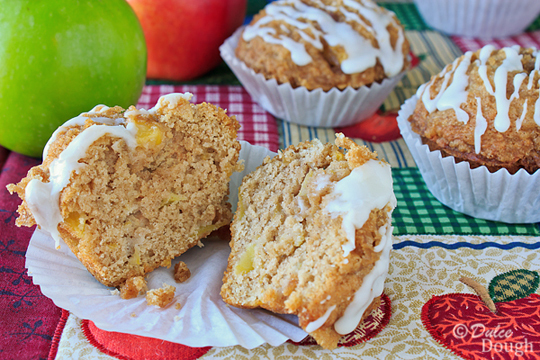 The muffins look delicious- I love the apples in them. :) I only use liners for muffins if I'm taking them somewhere. I just use a nonstick muffin pan. Happy birthday Jill! These muffins look perfect, and your photography always is super! I usually use paper liners, sometimes I'm disappointed in them though. The best ones are the pricey kind that are shiny inside and hold their color duing baking. Happy Birthday Jill and CONGRATULATIONS! You won the Kuhn Rikon Cookie Press from my Virtual Cookie Exchange. Please email me at vkb2@hotmail.com so that I can get the info needed so you'll have your cookie press in time for the holidays. Oh and by the way, your muffins look sensational along with your photos. I'm a muffin fan so will save this recipe to make at a later date. I look forward to hearing from you soon. Happy Belated Birthday Jill! I was wondering how you folks are doing and I'm glad I've stopped by. When family birthdays are close together, compounding cakes can be too much at once. Good on you to graciously defer to your son's pending birthday. I sure wish I had a few of these beautiful muffins to share with my family in the morning... May you & yours enjoy a holiday filled with peace, love and thanks! What beautiful muffins and Happy Belated Birthday Jill. Hope you weel is going well. What a fun way to celebrate a birthday! These muffins would make a great breakfast treat during Thanksgiving or the holidays! I do use muffin liners in my muffins...I'm lazy that way, but I know what you mean by it sticking to the paper. Happy, Happy Birthday to a lovely lady and friend! to invite you to register with foodepix.com and upload your pictures. I hope you had a wonderful birthday. 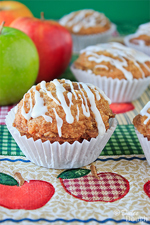 these apple streudel muffins look delicious. I spotted you through YBR.